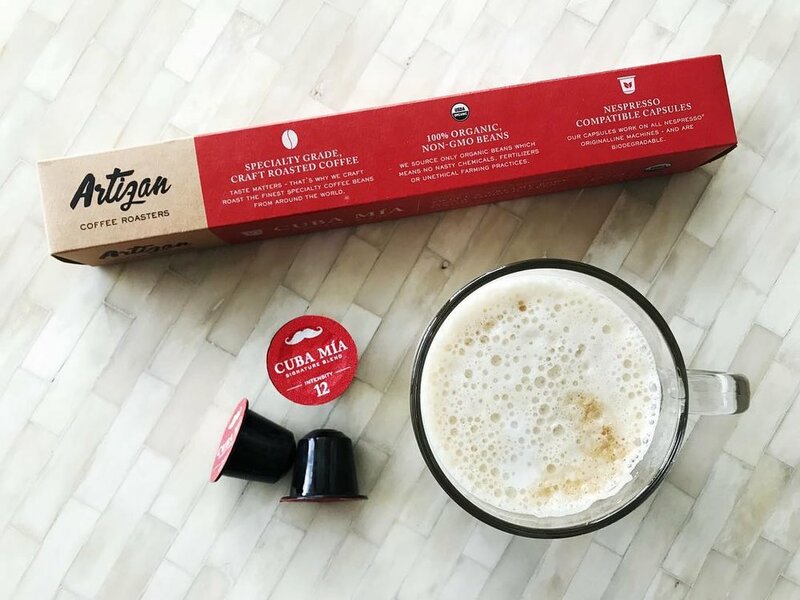 All of our Nespresso capsules are made with USDA certified organic coffee, most are also FairTrade, RainForest Alliance, UTZ, and Bird Friendly Certified. These certifications address a broad array of issues like eliminating chemical and pesticide usage, carbon footprint reduction, energy conservation, environmental preservation and fair prices for farmers. Additionally, we source decaffeinated coffees using all-natural 100% chemical-free process like Swiss Water® Process and Mountain Water Decaf®. LESS THAN 1% OF THE WORLD’S COFFEE MEETS OUR STANDARDS! We use the top 1% of coffee beans in the world to carefully craft-roast and prepare our organic Nespresso compatible capsules And, by only using beans grown through responsible organic farming practices, we’re cutting out the harmful fertilizers and chemicals that interfere with the integrity of our coffee - and your health. Why are you still recycling your Nespresso®* Pods? Our Nespresso®* compatible pods are made with ecovio® - a high-quality and versatile bioplastic from BASF. Thanks to its special chemical structure, ecovio® can be biodegraded by microorganisms and their enzymes. Under the conditions of an industrial composting plant – high temperature, high moisture, defined oxygen content – biodegradation only takes a few weeks. With ecovio®, BASF offers a vertified compostable polymer which also contains variable biobased content. ecovio® consists of the biodegradable BASF polymer ecoflex® and of polylactid acid (PLA) which is derived from corn. In contrast to simple starch-based bioplastics, ecovio® is more resistant to mechanical stress and moisture.